Many Chinese literati have left us accounts of illness and healing in their autobiographical writings. In early medieval China, such accounts appear in in several genres, from preface to correspondence, confession, and poetry. In this talk, I will explore reasons for the scarcity of accounts of the physical in Chinese autobiographical literature of the period, whether related to illness and healing or not, and then set out to determine the rhetorical functions of those illness narratives that have made it into self-writing. These functions clearly emerge as genre-specific conventional patterns. In autobiographically inspired authorial prefaces, illness—and in particular coping with illness and other physical challenges—is usually incorporated into a self-narrative of strength and grandeur. In letters, a decidedly different form of literati self-expression, much depends on the type of correspondence: personal letters about illness in intimate exchanges proceed differently from semi-official letters or memorials, in which health reports frequently occur in the context of pleading illness to justify retirement or reclusion. Poetry is another form of autobiographical reflection on illness. Presenting an even more stylized and often also oblique approach to the topic, poems on illness highlight the relationship between literary conventions and certain topic matters. Real or feigned illness as an excuse to escape onerous official, social, or familial obligations turns out to be a powerful motif throughout much of early medieval autobiographical literature. The analysis of illness narratives in autobiographical accounts of illness and healing adds important facets to our understanding of early Chinese self-writing, notions of authorship, and the evolution of refined literature, wen. Antje Richter studies the culture of early and early medieval China, with research interests across several areas, in particular literature, religion, art history, and medicine. 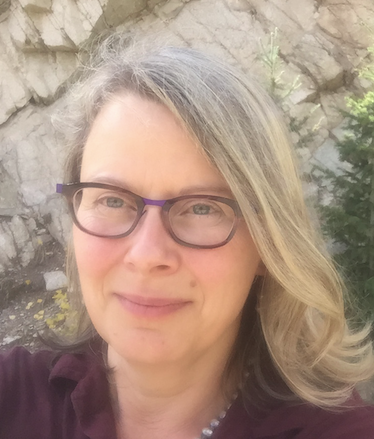 After her Ph.D. from Ludwig Maximilians University Munich in 1998, she taught at the universities in Kiel and Freiburg in Germany before joining the Department of Asian Languages and Civilizations at the University of Colorado Boulder in 2007. Antje is the author of a monograph on notions of sleep in early Chinese literature (2001, in German) and of the book Letter Writing and Epistolary Culture in Early Medieval China (2013). She has published on aspects of Chinese literature, medicine, and art in Monumenta Serica, Early Medieval China, Journal of the American Oriental Society, Asia Major, and T’oung Pao. Currently she is working on a book about narratives of illness and healing in early medieval Chinese literature. Antje is the Editor for East Asia at the Journal of the American Oriental Society and the vice-president of the American Oriental Society’s Western Branch.